H.R.4053 has been assigned Public Law 112-248. On December 19, 2012, the House passed H.R. 6016, the Government Employee Accountability Act, by a vote of 402-2. The bill would allow Federal agencies to use “investigative leave” to discipline career appointees (executives) in the Senior Executive Service (SES). The bill now moves to the Senate for consideration. On December 20, 2012, the House passed H.R. 1509, the Medicare Identity Theft Prevention Act of 2012, by voice vote. The bill would require the Department of Health and Human Services, in consultation with the Social Security Administration, to implement cost-effective procedures to ensure that Social Security numbers are not displayed, coded or embedded on Medicare cards. The bill now moves to the Senate for consideration. On December 20, 2012, the Senate passed H.R. 4053, the Improper Payments Elimination and Recovery Improvement Act of 2012, by unanimous consent, without amendments. The House passed the bill on December 13, 2012, as described in Legislative Bulletin 112-26. The bill would require Federal agencies to identify and stop erroneous payments to contractors and program beneficiaries. The bill now awaits the President’s signature to become law. On October 5, 2012, the President signed S. 300, the Government Charge Card Abuse Prevention Act of 2012, which became P.L. 112-194. The Senate agreed to the House amendment on September 22, 2012 by unanimous consent. The House passed the bill on August 1, 2012. The bill codifies a number of reporting and program integrity policies for government purchase and travel charge card programs. On September 28 2012, the President signed S. 3245, Reauthorizing Certain Visa Programs, which became P.L. 112-176. The House of Representatives passed the bill without amendment on September 13, 2012 by a vote of 412 to 3. The Senate passed the bill on August 2, 2012. 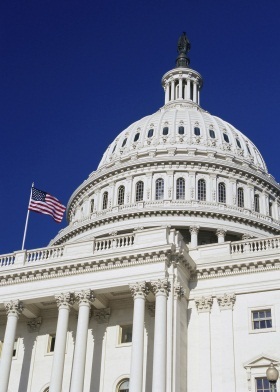 The bill temporarily reauthorizes the E-Verify program along with a number of visa programs for a period of three years, until September 30, 2015. On September 29, 2012, the President signed S. 3625, a bill to amend the Stop Trading On Congressional Knowledge (STOCK) Act of 2012. In general, the law makes December 8, 2012, the date by which certain Executive Branch public financial disclosure forms must be available on the internet. The new law became PL 112-178. The bill passed the House by unanimous consent on September 28, 1012. It had passed the Senate by unanimous consent on September 22, 2012. On September 11, 2012, the House passed H.R. 4631, Government Spending Accountability Act (GSA) of 2012, by voice vote. The bill sets new limits for Federal agency spending on travel and conferences, and requires quarterly reports on agency conferences and meetings. On September 11, 2012, the House passed H.R. 538, the Government Customer Service Improvement Act, by voice vote. The bill requires the Office of Management and Budget to develop performance measures and standards to determine whether Federal agencies are providing high-quality customer service and improving service delivery to agency customers. On August 7, 2012, the President signed H.R. 5872, the Sequestration Transparency Act of 2012, which became P.L. 112-155. The bill passed the Senate by unanimous consent on July 25, 2012. It had passed the House of Representatives (on a motion to suspend the rules) by a vote of 414-2. On July 6, 2012, President Obama signed into law H.R. 4348, the Moving Ahead for Progress in the 21st Century Act or MAP-21, which became Public Law 112-141. Although, the Act is primarily known for authorizing funding for the nation’s highways and for extending low interest rates for Federal student loans, it also includes numerous changes related to the governance of the Pension Benefit Guaranty Corporation and a package of pension provisions, which were largely included in the bill as revenue raisers. The bill also includes a provision for the phased retirement of Federal employees. On April 26, 2012, the Senate passed S. 1789, the 21st Century Postal Service Act of 2012, by a vote of 62 – 37. The bill is intended to improve, sustain, and transform the United States Postal Service. On April 18, 2012, the House Ways and Means Committee approved three legislative proposals that would make changes to subsidized health care and child tax credit programs, and repeal the Social Services Block Grant. On April 4, 2012, the President signed S. 2038, the "Stop Trading on Congressional Knowledge Act of 2012 or Stock Act". This enactment has been designated as Public Law 112-105.6. On February 22, 2012, President Obama signed H.R. 3630, the “Middle Class Tax Relief and Job Creation Act of 2012,” which became Public Law 112-96. The bill passed the House on February 17, 2012 by a vote of 293-132. Later in the day it passed the Senate by a vote of 60-36. On February 1, 2012, the House passed H.R. 1173, the “Fiscal Responsibility and Retirement Security Act of 2012,” by a vote of 267-159. The bill would repeal the Community Living Assistance Services and Supports (CLASS) Act created under Title VIII of the “Patient Protection and Affordable Care Act.” Under the law, benefits paid under the CLASS Act would be excluded from being used to determine eligibility under any Federal, State, or locally funded assistance program. The bill now goes to the Senate for its action. On February 7, 2012, the House of Representatives passed H.R. 1734, the "Civilian Property Realignment Act", by a vote of 259-164. The bill was sent to the Senate where it was received and referred to the Committee on Environment and Public Works. On December 23, 2011, President Obama signed H.R. 3765, the “Temporary Payroll Tax Cut Continuation Act of 2011,” which became Public Law 112-78. The law extends the current payroll tax cut for two months and is similar to H.R. 3630, the “Temporary Payroll Tax Cut Continuation Act of 2011,” as passed by the Senate on December 17. On December 7, 2011, the House passed H.R. 10, the "Regulations From the Executive in Need of Scrutiny Act of 2011", by a vote of 241-184. It is the third of three bills approved by the House in recent days that would revise the Federal rulemaking process. On December 2, 2011, the House passed H.R. 3010, the "Regulatory Accountability Act of 2011", by a vote of 253-167. It is the second of two bills approved by the House in the last week that would revise the Federal rulemaking process. On December 1, 2011, the House passed H.R. 527, the "Regulatory Flexibility Improvements Act of 2011", by a vote of 263-159. The bill would amend the process that Federal agencies use to analyze and develop new regulations. It would also require agencies to periodically determine whether existing regulations are necessary. On October 17, 2011, the Senate passed by voice vote S. 1721, the "SSI Extension for Elderly and Disabled Refugees Act of 2011". The bill would extend for only one year the refugee eligibility policy that was previously authorized for a three year period (FY 2009 through FY 2011). On August 2, 2011 the President signed S. 365, the "Budget Control Act of 2011" into law shortly after the Senate passed the bill by a vote of 74-26. The House passed the bill on August 1, 2011 by a vote of 269-161.The enacted bill has been designated Public Law 112-25. On June 29, 2011, by a vote of 89-8, the Senate adopted S. Res. 116, a resolution to provide for expedited Senate consideration of certain nominations. No further action is needed on this change to the Rules of the Senate.